Sugar analysis is backbone of Maarc Labs as the lab initiated its activity from Scratch to cater needs of indian sugar industry . 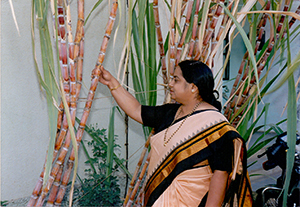 since last two decades has resulted in enrichment of plantation white sugar with respect to analytical methodologies .The methods she developed are serving for all countries manufacturing plantation white sugar. Analysis of Sugar : Plantation white Sugar, Refined Sugar, Raw Sugar& Sugar Syrup. • Chemical parameters : Colour, Conductivity ash, Dextran, Floc test, Grain size, Mean aperture, Moisture, Polarisation, Quaternary Ammonium Compound, Sediment, Sulphur Dioxide, Starch,Turbidity. • Heavy Metals : Lead ,Arsenic, Copper, Zinc, Tin, Chromium, Cadmium, Mercury,Methyl Mercury as Hg. • Complete analysis as per Coke Specification. • Complete analysis as per Pepsico Specification. • Food Safety parameters as per FSSAI requirements. • As per EU(European Union) Standards. • As per Indian Standard IS 5982. • Nutritional Facts : Energy, Carbohydrates, Fat, Protein per 100 g.
1. Food safety certification requirements(ISO 22000 ) includes water testing (IS 10500), microbiological swabs and air monitoring.